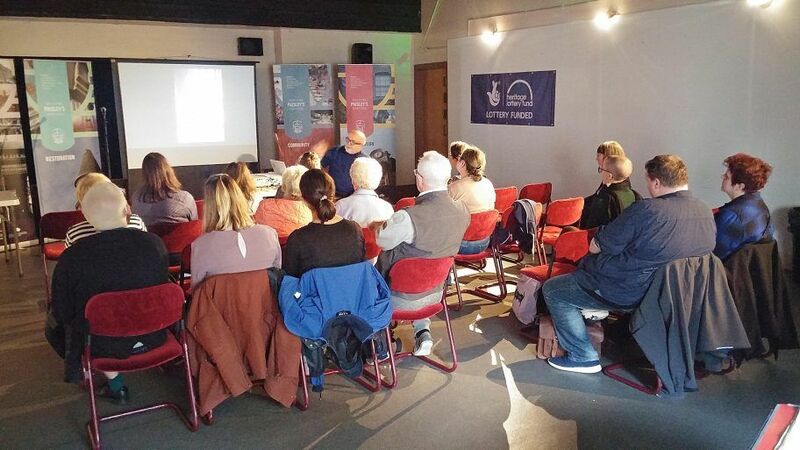 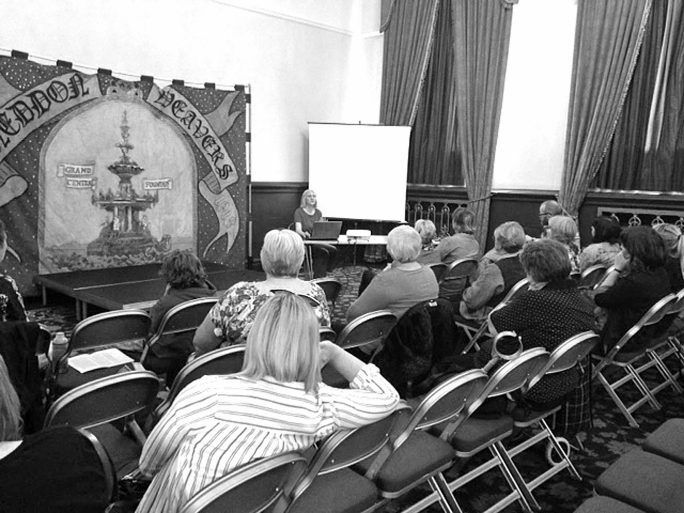 Textile artist Professor Malcolm Lochhead discussed the challenges of designing embroidery for architectural spaces of national significance such as the Great Hall at Stirling Castle and the Shrine of St Mungo at Glasgow Cathedral. 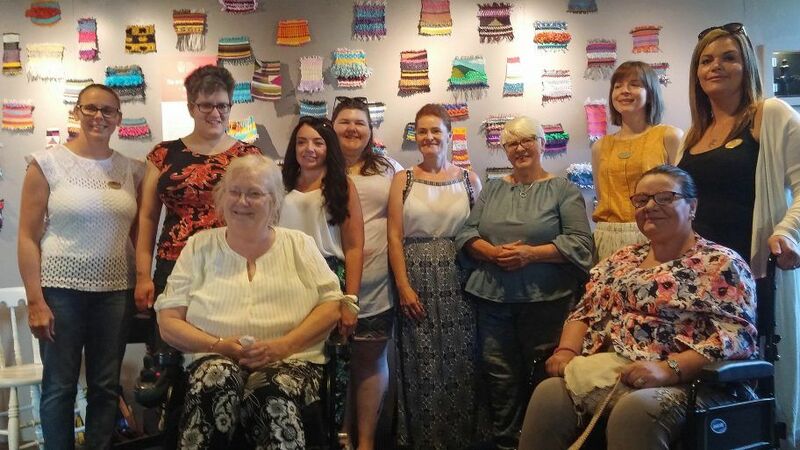 Glasgow Clyde College tutor and professional weaver Amy Bond concluded the second block of weekly weaving workshops for adults at Paisley Abbey, and the first block of workshops at the Disability Resource Centre. 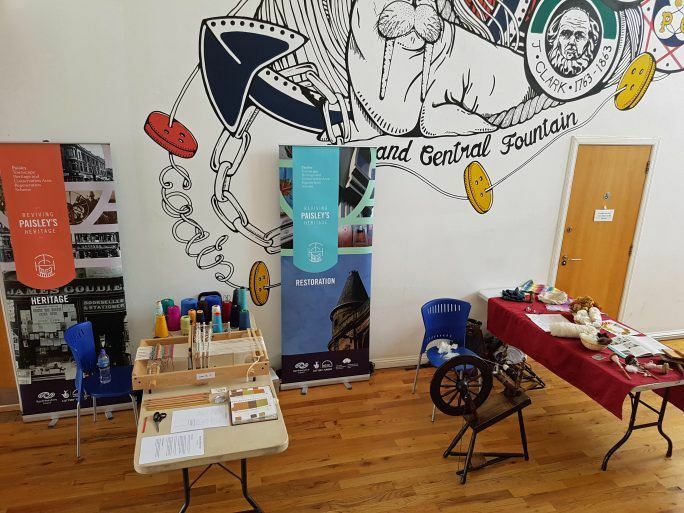 The groups came together to exhibit their woven samples at Paisley Arts Centre from 3rd-23rd Jul. 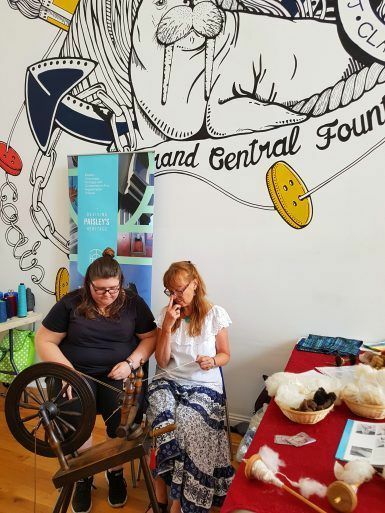 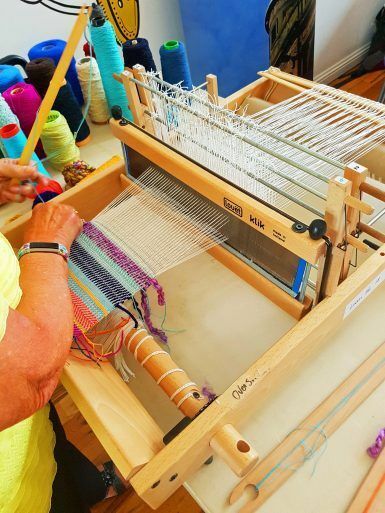 On 7th Jul as part of Sma’ Shot Day, weaver Amy Bond and spinner Laryna Wuppermann gave public demonstrations in weaving, spinning and dyeing at the Paisley Thread Mill Museum. 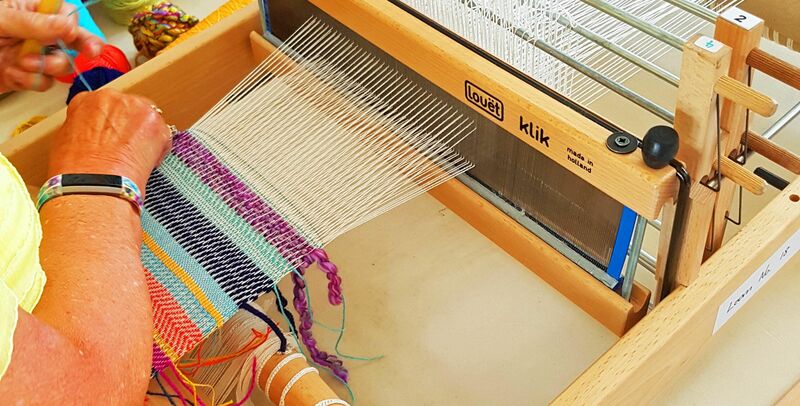 Weaving workshops resumed (with the added resource of a 4 shaft table loom) for both the Abbey and DRC groups at the end of August. 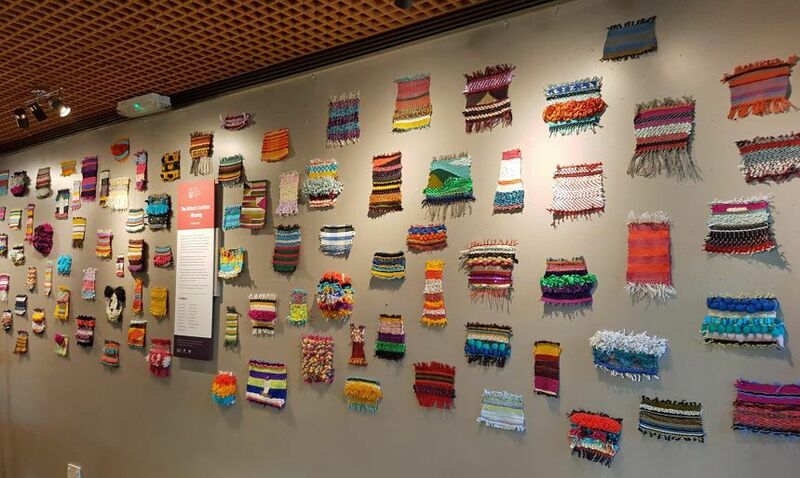 The woven samples exhibition was displayed at the Disability Resource Centre throughout September. 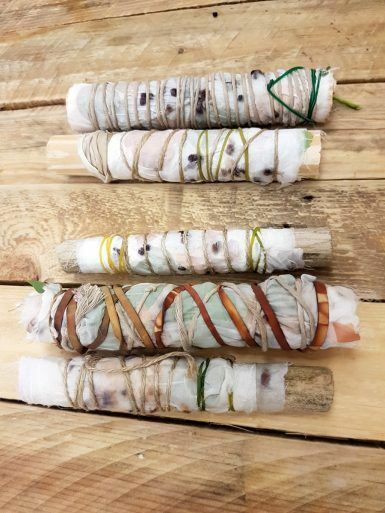 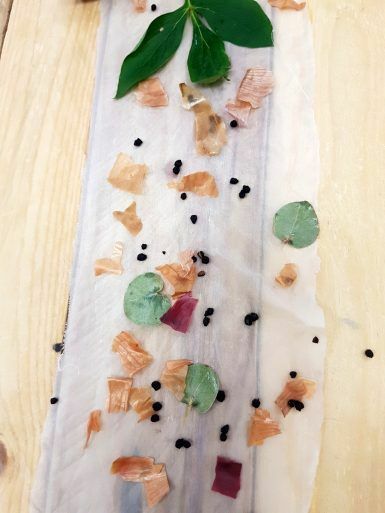 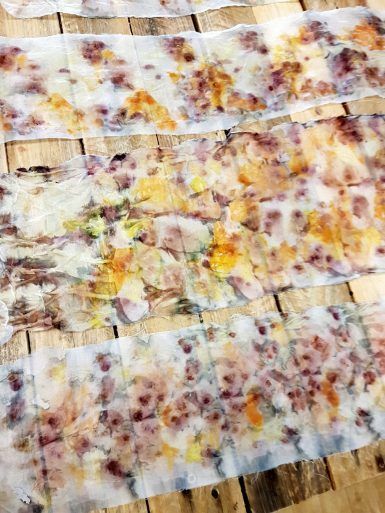 A day long workshop led by Johanna Pronk exploring pre-industrial dyeing techniques. 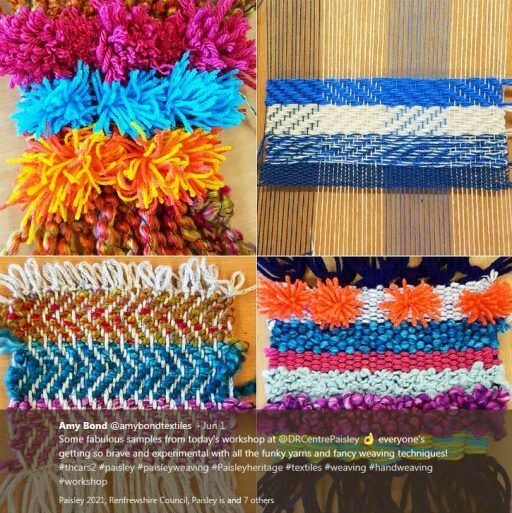 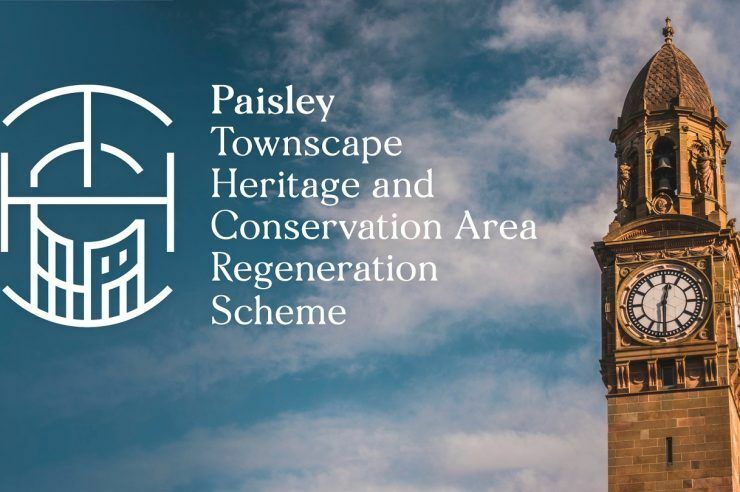 As part of 2017’s Weave Festival, on 2nd Jul, three visual artists – Mandy McIntosh, Deirdre Nelson and Penny Anderson – gave a public talk at Paisley Town Hall where they shared examples and spoke about their use of textiles when working with people in a variety of community settings.